He iwi tahi tatou; we are now one people. So said Governor Hobson to Māori chieftains as they signed Te Tiriti o Waitangi (The Treaty of Waitangi) in 1840. But are we really 'one people’? Sadly, once again, the lead-up to the celebration of our National Day – Waitangi Day – has been marred with protest, anger, threats of disruption and more than a hint that we’re not as one people as much as we might like to think we are. Even if it’s only a ‘small group’ of people that seem to call into question the integrity and the intentions of the Treaty and its relevance for today, I must admit to feeling sad that ‘our National Day’ is clouded each year in this way. Where is the ‘one’ in all of this? Where is the celebration of unity in our exciting multicultural 21st century diversity? Let me not be too negative or discouraged. For sure, unity is to be seen in much of Kiwi life and community, and I’m sure that this unity will be celebrated up and down the country today by the many of who have come to make Aotearoa home. As I write this Waitangi Day morning, my eyes are already looking just over the horizon to another day that signifies the means by which two become one and unity is restored. Next Wednesday is Ash Wednesday, and you and I, and all Christians will begin our Lenten pilgrimage to the Easter weekend. And if you’re really lucky (didn’t want to use that word; but it sort of works here and so I’ll stick with it), you might even be marked with an ashen cross on your forehead; signed with the means by which Jesus, Son of God, Saviour, has made peace by his blood. Signed with the means by which we have been brought near by the blood of Christ. Signed with the means by which Jesus has made the two groups one. Signed with the means by which God has destroyed the barrier, the dividing wall of hostility. Signed with the cross that creates the one new humanity out of the two, thus making peace (Ephesians 2:13-15). As we celebrate Waitangi Day, with all that this celebration brings, including the protest and the hints of division, let us as God’s people in this Godzone nation of beauty and blessing, bow down at the foot of the cross and pray for peace and unity; that peace and unity which can only flow from the blood of the One who hangs there … out of love for you, for me, for all. E te Kaihanga, Nāhau mātau i tārai i Waitangi, anō he waka hourua, whakarewangia i runga i te tūmanako; anō he waka eke noa, whakaterengia i runga i ngā waikarekare; He tia, he tia; He ranga, he ranga; Whakarere iho te kakau o te hoe, kia tutuki ai i ngā oati i oatitia; kia huri mai te whakawā anō he wai, te tika anō he awa nui. Ko Ihu Karaiti hoki tō mātau Ariki, Te Kurahautū o tō mātau Kuratīwaka. Āmine. Creator God, By your hand we were fashioned together at Waitangi, like a double-hulled canoe, launched towards a hope-filled future; cast together in the same vessel, traversing turbulent waters; Our backs bowed in effort, our journey continues, one paddle-stroke after another; Help us to strive together in unity, that we might fulfill the oaths we have made to each other; That justice may roll like a river, and righteousness like an everlasting stream; Through Jesus Christ our Lord, The One Who Guides our Waka of Faith. Amen. 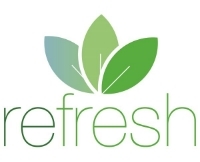 The theme and focus of REFRESH will lead us into and inspire us as we prepare for a wonderful year of celebrating God's grace in 2017; 500 years after the Reformation. In just less than a year, we plan to begin our commemoration of the 500th anniversary of the Reformation at Te Whakuru on the north-eastern tip of the Chatham Islands, where the first Lutheran missionaries to New Zealand established their mission. The Working Group will soon want to make some fairly definite plans and arrangements for the Chatham Islands component of the commemoration, so in order to help us with this planning, we would like to get some idea of who and how many might be interested in coming out for the two day / two night event. The 31st January 2016 is a day to remember for the LCNZ and Mountainside. We had the privilege of a visit to Mountainside of Pastor Richard Fox, Director of Lutheran Church of Australia and NZ Media, to launch Face 2 Face in New Zealand. The LCNZ has had a long history being in Media Ministry, but the withdrawal of funds from America many years ago meant we could no longer be on radio. In 2015 Richard Fox visited NZ to talk to a few radio stations. The reception he received from NZME (Newstalk ZB and The Hits) was amazing and only God could have had a hand and a presence in the negotiations and the outcomes. Face 2 Face are 30 second radio spots which are going to be played at prime time on these radio stations helping people to deal with different issues, talking about Jesus and offering a free booklet. The LCA has been very generous to help us establish Face 2 Face in NZ, and we are very thankful to them for helping us seize the great opportunity we have to share Jesus on a commercial National Radio station. 180,000 people listen to Newstalk ZB every day in Auckland alone; what an opportunity to share the gospel with these people. There are a dedicated group of people from Mountainside which will be meeting the responses of listeners, sending out booklets and welcoming people who come and visit us. Newstalk ZB and The Hits are nationwide so there is no doubt we will be sending books to your region. Watch out for visitors as some may come to visit your congregation after they have had contact with us through Face 2 Face. Check out the website to learn more about Face 2 Face – http://www.facetoface.org.nz. Feel free to email us, and please pray for this ministry. Listen to the 30 second spots if you can and tell your friends about it. God is very gracious and has opened the door for us to be on national commercial radio station. Please thank God for this wonderful ministry opportunity. Face 2 Face went to air on 1st February 2016. Over the last few months, the Council of Synod (COS) has been exploring ways in which we might develop closer ministry ties with the Danish Lutheran Church in New Zealand for the sake of working together in the ministry of the gospel. Pastor Anja Mathiassen, who lives in Dunedin with her family, serves Danish Lutherans throughout New Zealand, including locations where the LCNZ also has congregations. Pastor Anja has conducted services at St Matthew Hamilton (see photo) and at St Pauls Christchurch. In March, I am meeting with Pastor Anja and some of her church leadership to talk about ways that we might work together even more. We’re also hoping that Pastor Anja will be able to attend our Church Workers’ Conferences. You might like to check their website – http://www.danishchurchnz.org/englishedition.htm. The National Library in Wellington is pleased to present this summer series with the support from the Alexander Turnbull Library Endowment Trust. Few books are as iconic or have had as wide-reaching an impact on global culture as the Gutenberg Bible. The great achievement of its printer, Johann Gutenberg, was in bringing together and perfecting the combination of movable metal type, printing ink, and a wooden screw-press in order to make western printing from type – as opposed to through the use of woodcut blocks – possible for the first time. The chief advantage of the printing press over manuscript production was its ability to produce in a short period of time a large number of identical copies of any given work. This led to the rapid dissemination of knowledge, to the forming of new communities of learning and scholarship, and eventually to the literate mass culture we know today. In this lecture Anthony Tedeschi will explore the history of the Gutenberg Bible from the context surrounding its creation to its status after Gutenberg’s death, including some of the remarkable stories of ownership, theft and sales connected to several surviving copies. It's been a long standing tradition in St. Paul's Lutheran Church in Wellington to have the Sunday School children put on a play for our Christmas Eve service. This year, however, we changed things up a little bit and had the kids put together a movie instead of a live performance. We filmed most of the movie on a small farm owned by some of our members, as well as a few scenes in the church hall. It was a great learning experience for the kids, as they really got to feel what it might have been like to be the parts they were acting. The kids walked the long road to Bethlehem, ran around with the sheep as shepherds, and crowded inside a "rickety old barn" to see baby Jesus. We used the Christmas Story from “The Jesus Storybook Bible” by Sally Lloyd-Jones as a basis for the script, but let the kids come up with a lot of their own lines based on how they thought they would react if they themselves were in the story. The older youth served as narrators, and gave all ages of our congregation's children a sense of ownership and contribution to the movie. The end result was well received and each of the kids was given a DVD of the film. It was a fun way to share the Christmas story with the congregation and extended family. Christmas Eve service was somewhat special and different. We had a manger scene (about 2 metres by 2 metres by 1 metre) constructed in the centre of the church, with all seats gathered in a circle around it. The service focussed on God Himself being present amongst us. I think it touched peoples’ lives in different way. The second thing is that late last year we celebrated 25 years of Share and Care being offered to the Palmerston North community. We are not sure whether it started late in the year or early the next, but we decided to remember this occasion with a special dinner just before Christmas, inviting local media (who didn’t actually come) and other dignitaries (Mayor and local members, some of whom came) and people who had been involved in preparing meals over the years. Some of them said that some people who were coming ‘in their day’ were still there. Share and Care is a free 3 course meal offered every fortnight to those in need in Palmerston North. We have anywhere between 30 to 80 coming (average probably about 40-50). On Monday the 15th February St Matthew ladies in Hamilton are beginning a six week trial of a new group called “Cuppa and Conversation” to provide opportunity for migrant women with English as a second language to come and practice their spoken English over afternoon tea which will be supplied. As well as providing a cuppa the volunteers will engage the guests in everyday conversation to help migrants with their speaking and understanding English. The Hamilton Migrant Centre has assisted St Matthew with advice and encouragement for which we are very thankful. This is an opportunity for St Matthew to connect with the local community. Please pray for this ministry. The Financial Review Group (set up as a result of a decision of the District Convention last year to review the financial systems in the LCNZ, had its first meeting in Wellington last evening. It will be forwarding recommendations to the Council of Synod. Council of Synod meets for the first time this year, next weekend (12th and 13th February) in Auckland. I go to Adelaide for the first College of Bishop’s meeting for the year on the 16th and 17th February. Please pray that all these meetings (and more meetings) will serve only to enhance the ministry of the gospel amongst the people and communities in which we live.